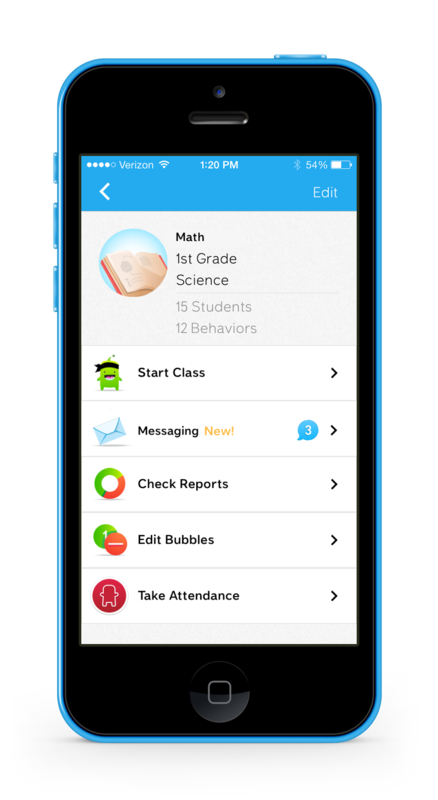 ClassDojo the ever popular site for behavior management has just released their biggest feature to date, messaging. The way this works is quite simple and no phone number or private data is needed. All a person needs is to be using the free mobile app (iOS/Android) to connect w/ each other. This is a great way for educator to share (private messages) how their student is doing w/ parents, group messages to a list of parents, and read when parents are receiving/reading their messages (think FB). I highly recommend checking out ClassDojo Messaging by clicking here!! !